I love receiving monthly subscriptions and have a surprise every month. 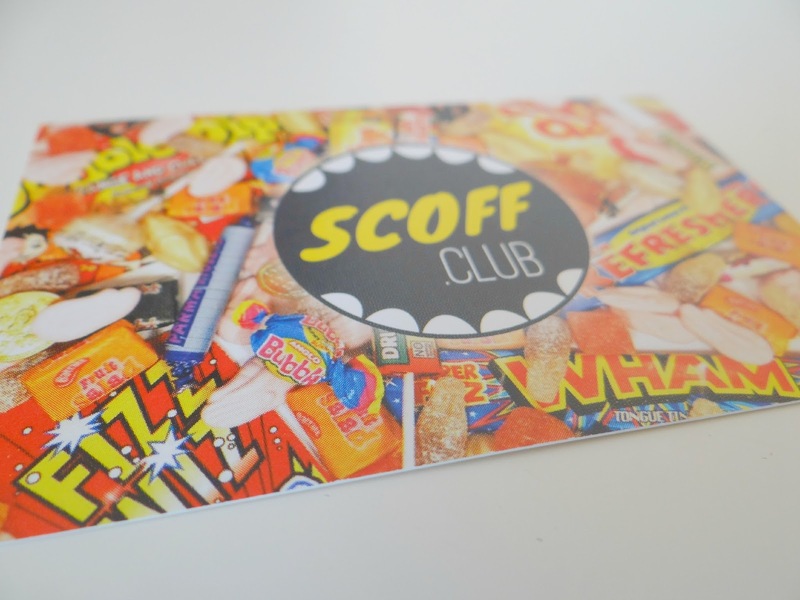 If you love classic retro sweets then Scoff Club is something you will love. Scoff Club is a monthly subscription box that delivers straight to your door and they are full of classical sweets such as cola bottles, very sour sweets, sweetie jellies and more! The sweets we used to be able to buy from the shops before - but not very often now. 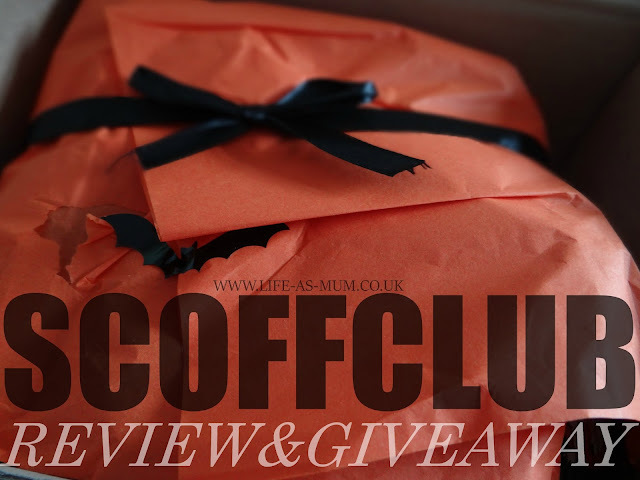 We received a Scoff Club box and it was a Halloween version which was brilliant! 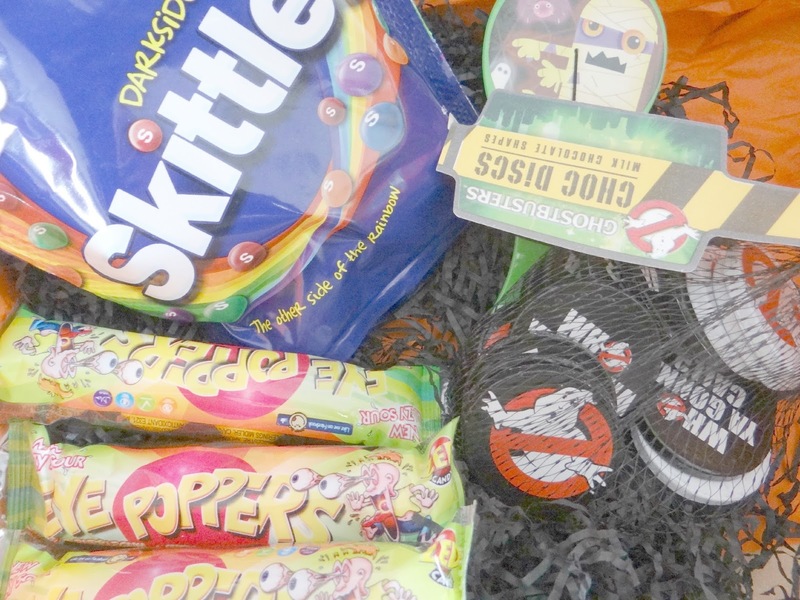 It arrived on a Friday so just the day before Halloween. In the box was some ghostbusters chocolate coins, sour chewing gum balls, a little tennis bat and ball toy, skittles bag, jelly sweets and very sour sweets. The sour chewing gum balls really took me back to the school days. I remember when we could buy them at the shops and I used to hate the sour taste but loved the after taste! The sour sweets were extremely sour - even my partner pulled a face but they were really tasty! 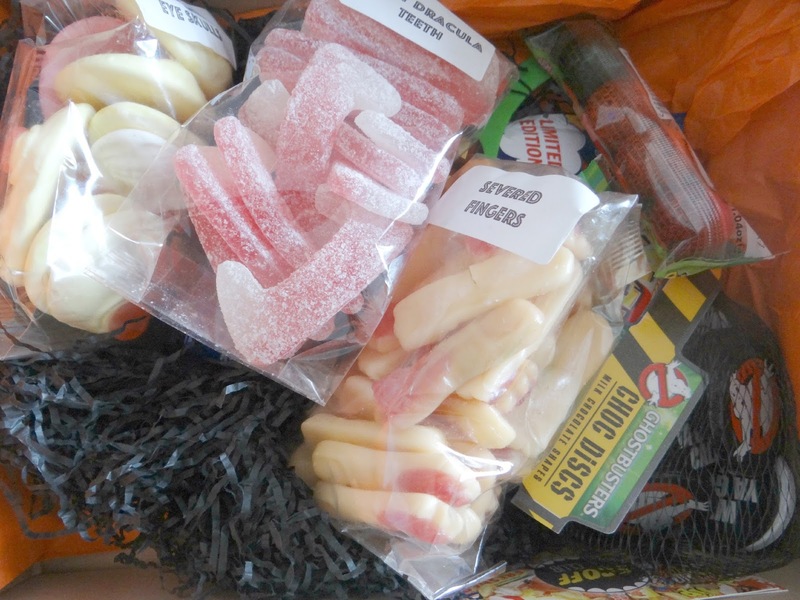 I wasn't keen on the other two pack of sweets but Elliw and my partner loved them. Elliw and I enjoyed the chocolate coins and the Skittles are still open and getting snacked on. If you would like a trip down memory lane then Scoff Club is for you. You can decide how you want to pay. You can pay £12.99 a month for one box or you can pre-pay 3 months for 3 boxes for £34.99 or you can pre-pay 6 months for 6 boxes for £69.99. I would say this is a reasonable price to pay as the box is full of sweets and sweets that you don't see in shops any more. Each box comes with free delivery. Scoff Club boxes are bound to bring back some memories. Do you want to hear the good news? 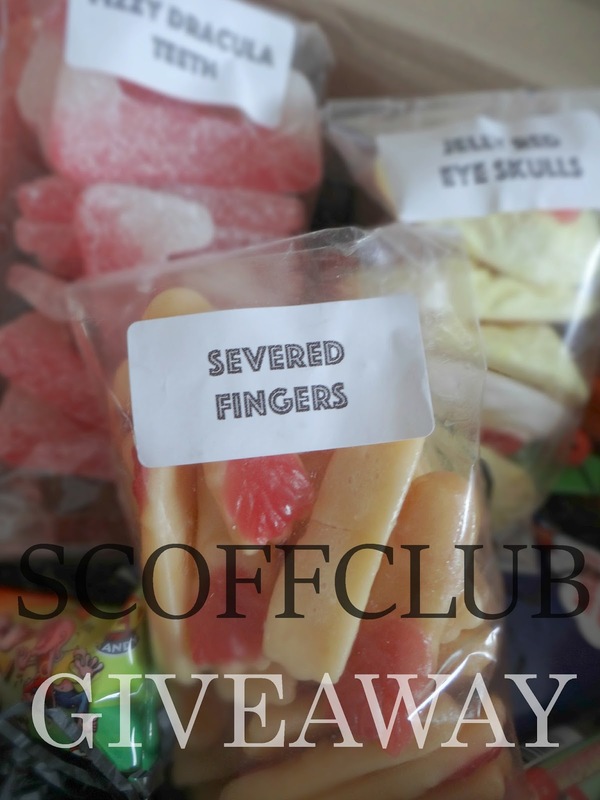 Scoff Club is giving away one of their monthly boxes to one lucky reader! All you have to do to enter is read the Terms and Conditions and enter the Rafflecopter below. Good luck! I always loved the Dracula teeth.